I think in past reservation on the basis of caste played a big role in India. This reservation helped many Indians to develop among others. In old days people who belonged from lower caste were not treated respectfully. They were disregarded in every field. At that time untouchability was practice done to those people which was very bad. In this untouchability people who belonged from lower casts were called untouchables. People who belonged from lower caste were not allowed to go to temples which hurts them very much. The life of people at that time was very painful who belonged to lower cast. But this reservation policy changed every thing. This reservation policy was introduced by a great person DR BHIMRAO AMBEDKAR. At that time when this reservation policy came then all the persons who belonged from lower caste were happy and so many of those who wanted to do something they did and got respect. 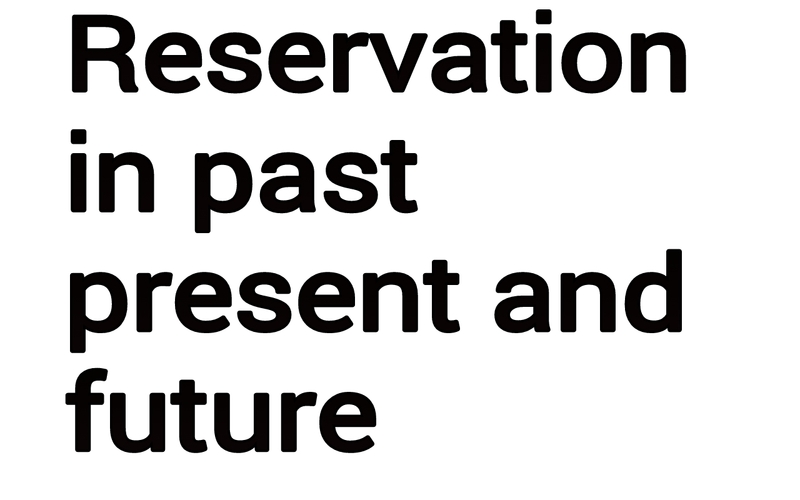 But this reservation policy was for only 10 years. In the present time reservation on the basis of caste is one of the main topic.This topic is discussed in between students,adults and speeches. There are so many people who came under the trap of reservation in their life. Today due to reservation general category people has to do very much hard work to get job, admission in colleges and many other places. This created inequality among Indians and also filling Indians with bad thoughts. Today if a general category student has to pass the exam the he has to score high as compared to reserved category student. This is not fair. Now a days mostly jobs are acquired by reserved category persons. This reservation is not reaching the people who really need this. There are so many people who are rich and then also taking the benefit of reservation policy and there are many general category people who are poor and needs reservation. This policy was only for 10 years but still now it has not come to end. It is acting as curse on society as it is creating inequality between people of different caste. Creating jealousy and fights between Indians among people of India. There are many rich who belonged from reserved categories and still taking the benefit of reservation. This is creating poverty among people who belonged from general category. Today there is too much competition to general category. At every point general category people face this reservation policy, if we are applying for any exam then we have to pay double the amount paid by the reserved categories. Think what a person will do if he poor and didn't belong form reserved category. Here there is need of reservation. Reservation was initially needed to finish the practice of untouchability and uplift that section but now the reason for which reservation was given is fulfilled. Now it must be researched again that we need this system or not. Today the voice of every general category student is to stop reservation on the basis of caste, which is 100% correct. Many students specially who belong from general category are migrating from India as they are not getting good jobs as per their qualification. In starting this reservation policy acted as boom to the country but now it is not. Ranking should be given on the basis of potential,talent and ability not the reservation as the person who is having potential, talent and ability will bright our country among other countries. Reservation in future will harm our country very much. As there will be may students who will not get job due to reservation policy. If no action is taken on this caste based reservation policy then it will eat our country like a termite as the number of students who didn't belong from reserved categories who didn't get job will migrate to other countries. It can also lead to increase in number of fights among Indians which will lead to bloodshed. Today are educated and all wants equality. In future condition of general category student will become worst. Unemployment to general category student will increase in coming time. There should be only one caste in India. This reservation policy will make India hollow like a termite do to wood. Action is must to this reservation. This is the first step to the ladder of progress in India. If this reservation system will come to end then India will do progress in all field as persons with ability will come in front and do there best to make India extend among other countries. If hardworking persons will come in front the there is no doubt that progress will take place or not. It is guaranteed that progress will take place. God made all of us equal the why reservation in today's world. Only India is having this type of caste based reservation. Reservation should be given to those who are in need of it. Otherwise in coming days all the government jobs will be taken by persons other than general category.